I have always been a black and white girl. Black and white is a classic and timeless color combination. I am loving that it is a very present trend for spring. I am so excited to pair black and white with pops of color, especially with some of the coral and mint purchases that I featured in a recent blog post. I thought I would share some of my recent black and white purchases, as well as some other items I am currently coveting. I purchased all of the items below (except those from Target) at 35%-50% off. Sales and promos pop up so often that I rarely find a reason to pay full price for something! 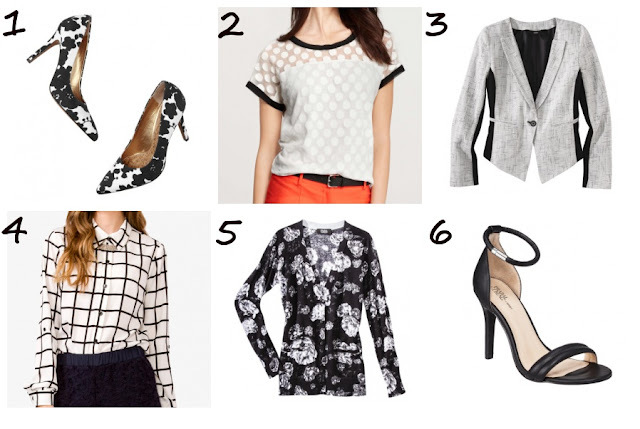 I also love how the Loft and Banana Republic items below transition so well between work attire and casual wear. I am imagining so many different outfit combinations, so I know I will get my money's worth! And, I also want to mention that I am OBSESSED with these Love 21 pants that fellow blogger Emily Gemma, from The Sweetest Thing, has on!! Serious swooning going on over here. I am so sad they are not on the Forever 21 website. I need these pants in my life, so I will have to track them down at a store. I should also mention that they are only $22 - such a steal!! Thank you, Emily, for sharing these amazing pants! If you're interested in any of the above - Loft currently has a 30% off EVERYTHING sale going on (enter code ENJOY30 at checkout). Banana Republic is offering 30% off your purchase of $150 or more (online only - use code BRTAKE30) and 40% off one full-price item (in store only), and Ann Taylor has 30% off select full-price styles right now (use code SHOPCHIC). 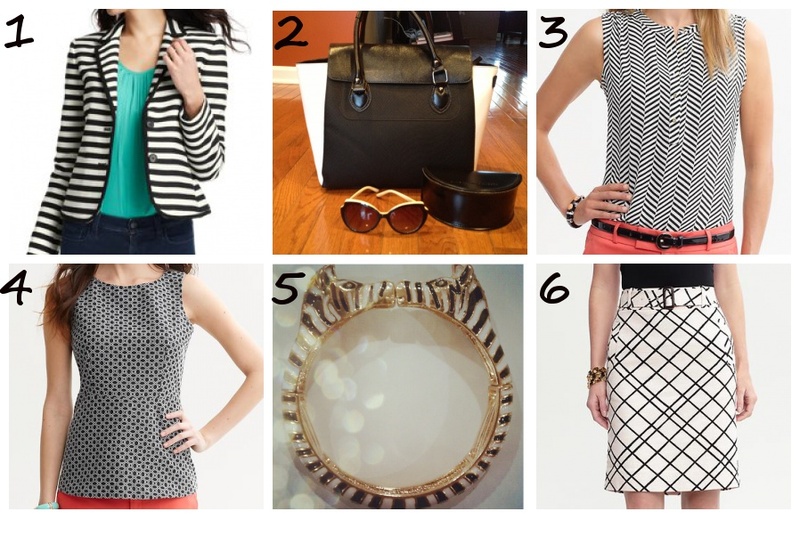 How will you style the black and white trend this spring? Connect with me on Facebook to get updates! Just realized you are blogging - love it! My husband found it by accident when he googled my name, lol! This is an amazing blog! I AM blogging! It's only been about a month, but I am having so much with it! Too funny that your husband found me by accident - love it! Thank you so much for the kind words - it really means a lot. I am so glad you like the blog!